Visiting a Google office is every computer nerd’s dream, I was lucky enough to do just this. During the summer holiday I applied for and was selected to be a Google Innovator. This is a hand picked program for teachers from all over the world, there are only about 100 teachers per year (32 in Sydney) selected and I was lucky enough to be one of them. The Idea is that you pick an innovation project, an educational problem that you would like to solve. You then work on this problem / innovation for a year and come up with a solution to the problem. The work / learning / creating began before the academy and continues until August next year. The Innovator Academy and Google Office was everything I expected and more. A quick intro to the design process, where teams had to design and then pitch a new chair. We managed to win the 'Pitch Off' with some volume, crowd support, confidence and great ideas. Go the Volcano Chair. 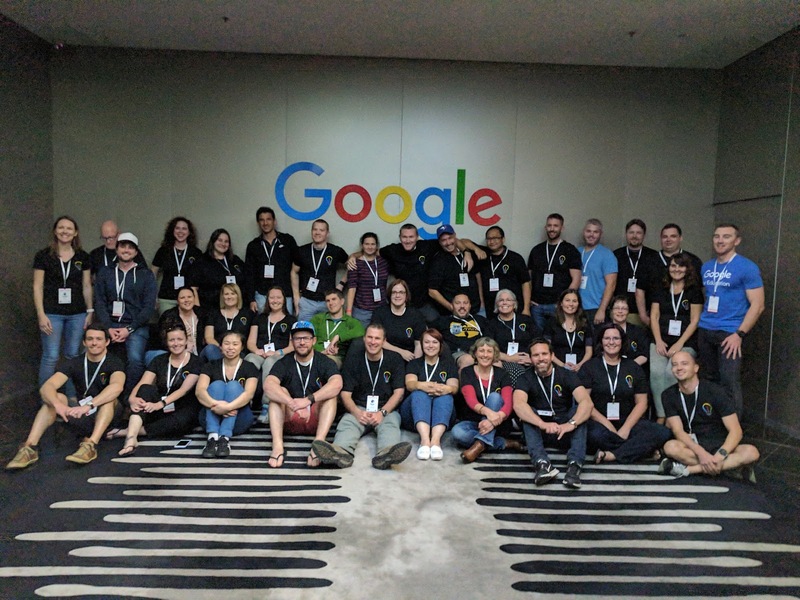 Alas, I wasn't just there to play with the Google toys and bask in the dream of perhaps working in this tech mecca, I was there to learn, collaborate, play and work. The three days was divided into design sprints where we sprinted (and I do mean sprinted) through a design process facilitated by Leslie McBeth from Future Design Schools. I have used the Stamford Design Process many times to designing curriculum, learning spaces, web interfaces and participated in design sprints at conferences. I have also facilitated staff and students in using the Stamford Design Process. Even with some experience it was valuable to work through the process with my own problem and in the company of like minded educators and forward thinking facilitators. It was also good to actually be working on a project rather than being an active listener or semi participant which is usually what happens at a lot of tech conferences. They are not working / problem solving focussed. This is a year long project which meant doing some pre academy work and continuing to see our projects through until next July. It is more than a couple of days exploring the Google Sydney Office. This Google get together was just to light the fire after the spark of excitement of being accepted and the tinder of the pre academy work. My only criticism of the process was that it was too short and too bunched, I can understand why it was. But we didn't have any down time, time to think, process, reflect and share with the incredible educators that were there. The days were long and it was hard work, I had a splitting headache after the second day and if it wasn't for the Google massage station at dinner, I don't know how I would have got rid of it. Maybe an extra day or two, with some down time and some activities outside of the office. It is a long way to travel for some of the participants. 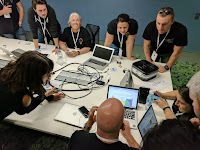 Like any of these conferences, workshops, learning experiences often the connections are the most valuable element and the innovator academy was no different. The conversations were incredible, it was so good to connect with Australian teachers (I haven't taught in Australia for 8 years) American teachers and colleagues from International schools in Asia. 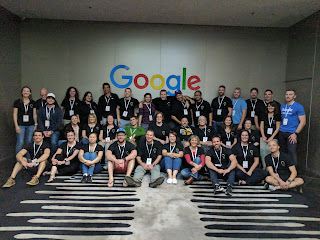 It was also good to connect with the coaches, Googley people and the Edtech team. One of the ongoing benefits of the academy is that these conversations are continuing, on twitter, google hangouts, via email and hopefully in person where possible. 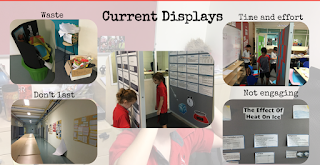 The problem / issue I chose is “student created displays” (think science fairs / PYP exhibition etc) and how they are still stuck in the 20th Century. They waste resources, don’t last, can be dull and boring and can’t be shared. Like any problem your natural reaction is to come up with a solution, so of course I started thinking about how students could create their own interactive museum displays and how students could create their own VR experiences (Students creating their own Google Expeditions). that is; being flexible and open to scrapping ideas and starting all over again or even just being open to new ideas and solutions and maybe even new problems. 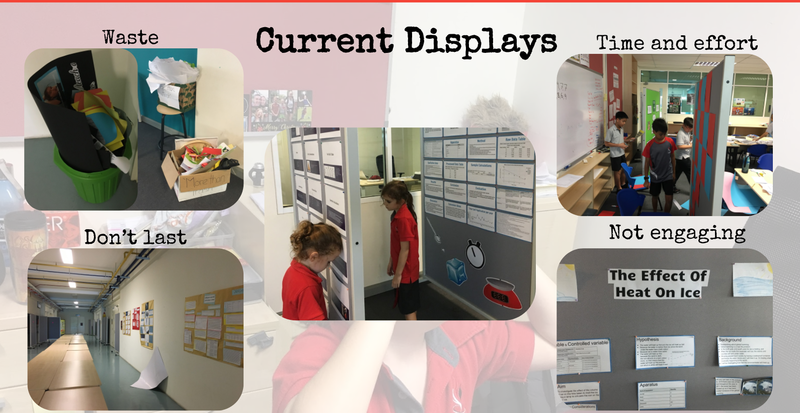 Over the course of the week with Google and in my thinking since, my problem is changing from changing student displays to how can students share their learning in new and innovative ways. My problem / solution / project could well change again. We were also encouraged to think big and act small, the more I thought about it I couldn't help thinking that my problem and my crazy 8 solutions were small and I needed a way to enlarge my solution and take it beyond just our school. That is where I am now, redefining my problem, back to crazy 8's (thinking some AR would be great to add to this project) and basically starting all over again, but with renewed energy, connections, learning and the experience of working through (even if it was at a lightning pace) the design process. I am excited, worried, daunted and can't wait to see where this journey might take me and those who will be learning along with me.